My first shoot of the season – a nice brisk, cold but dry day at Bagden Hall in Denby Dale, between Huddersfield and Wakefield. The couple in question were Leon and Ben and this was their civil partnership day. Their 70 or so guests entered into the spirit of the day, and the touching ceremony gave way to a good knees-up and a fantastic fireworks display. 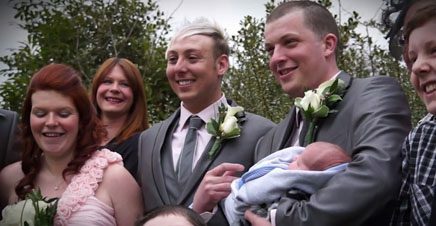 Thanks to Leon and Ben for allowing me to document their day and provide them with a treasured memory for themselves and their families for years to come.